There is something special about the spring, when the weather warms and the outdoors beckon. It’s a great time to get outdoors and discover what our region has to offer – and if you love escaping to Mother Nature, the area around Pleasanton has a LOT to offer. If you like to escape to the outdoors now and then, it’s hard to beat Cull Canyon Regional Park. Located in Castro Valley, this park has great trails and a fantastic swim lagoon that your kids will love – and it is staffed with lifeguards for their safety! Many locals consider this an overlooked gem, so keep this secret between us, okay? An anonymous cabin in an unknown mountain range. Do you know where this is located? You can’t escape to the outdoors in Pleasanton without keeping the Pleasanton Ridge Regional Park in mind! You’ll find it off Foothill Road, and you’ll be quickly taken in by the massive 5,000-plus acres of gorgeous natural land in this sprawling park. There is lots of room to roam thanks to the extensive hiking trails, and if you’re really want to go on an adventure, the park links to 150 miles of interconnected trails in the Interpark Regional Trails system that winds through the region. Think you have to take a long journey to experience some lovely Mother Nature? Think again. You won’t have to travel far to enjoy this outdoor experience. Found at 2500 Stanley Boulevard, if you love fishing, boating, trails, or just relaxing on a beach, you’ll enjoy Shadow Cliffs Regional Recreation Area. It’s most popular during the summer months, but is just as fun to visit in the autumn. There are parks and then there is Sunol. This place is BIG. If you like to get completely immersed in Mother Nature when you go for a hike, look no further than this massive, expansive park. Located off Geary Road, this park is close to 7,000 acres of pastoral hills, herds of grazing cattle, and stunning vistas. It’s enough to take your breath away. Del Valle Regional Park is great because it packs a lot into its 4,400 acres, so no matter what you’re into when it comes to the outdoors, you’ll find it here. This park features a five-mile long lake and many miles worth of hiking paths, plus a resort area, swimming lakes, picnic grounds, horseback riding, and lots more. It’s easy to spend a whole day here (and then some). Let's be honest, very few people like seeing the dentist. They'll invent any reason possible to avoid it! Sometimes it just takes a quick mouthwash or minty gum to cure it, but chronic bad breath can indicate that there is a more serious condition to address. Liver problems, kidney ailments, sinusitis, diabetes and more could trigger episodes of bad breath. Study after study confirms it: your dental health is intrinsically linked with your overall health. Your teeth and gums have an impact on a number of your body's other systems, including the digestive, circulatory, and respiratory systems. Good oral health means a better chance of good overall health! If you already have a bright smile, routine visits to your dentist are an essential way of ensuring you keep it. Even better, if your smile had faded over the years, your dentist can help revitalize it, making it bright and shiny again thanks to modern teeth whitening techniques that work far better than you imagine - and they're more affordable than you imagine, too! Notice a little blood when you spit out your toothpaste? That means it may be time to see a dentist. You don't need to panic -- bad brushing or flossing techniques can cause bleeding gums -- but it's best to have it checked out, because it can sometimes be a sign of a more serious condition. Let your dentist in Pleasanton, CA check it out. 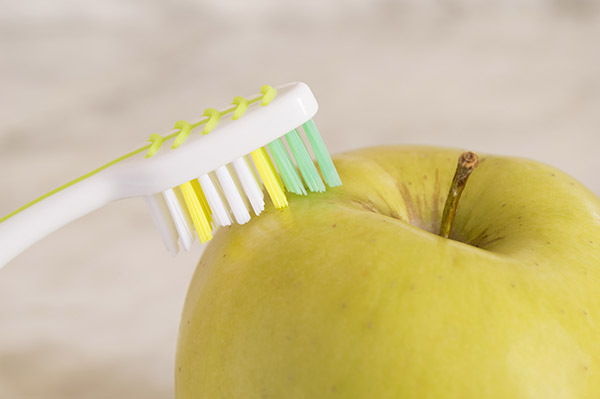 Your teeth may have gotten some wear and tear over the years. It happens to the best of us. Lots of coffee, plaque buildup, decay that has gone unnoticed or untreated - all of these things have taken their toll on your teeth. The good news is, your dentist can fix it! If you want to avoid losing your teeth, there is an easy way to do it: See your dentist more often. It all begins at home, of course, with good brushing and flossing habits. Next comes the regular checkups. Catching problems early is an essential ingredient to ensuring that minor problems don't become major problems - and trust us, it can happen if a lingering issue is left untreated for too long. Nothing makes you feel good like looking good, and there is no better way to make a good first impression quickly than with a great smile. Your smile is the first thing most people notice about you, so getting a great smile means good first impressions, and good first impressions mean a boost in confidence – all from visiting your dentist! There are so many fantastic things about Pleasanton, we could write a dozen articles about them. In fact, we’ve probably written close to that many about our amazing community! Every Valentine’s Day, we’re reminded of another to add to the list: It’s a terrific place for a romantic dinner. With that in mind, here are five of the places our patients recommend for a good romantic meal. Perhaps we’ll see you at one of these establishments on Valentine’s Day evening! Cozy, small and romantic, Barone’s makes for a great date night any time of year – so naturally, it’s a good Valentine’s Day destination. The food is good, the atmosphere is nice, and the service is almost always great. You can’t go wrong with their cocktails, either. Great place to snuggle up with a loved one! If you’ve never indulged in Mediterranean food before, let Valentine’s Day be your first experience with it. Lokanta specializes in Greek, Turkish, and other regional fare, and it’s quite delicious. They have very nice cocktails to get your dinner started right, and just about every dish is a winner. Most importantly, the atmosphere is open and inviting, making it a great place to unwind with loved ones. A fine glass of wine in a comfortable environment, a romantic ambiance, and servers who take care of you without bothering you? Those are ingredients for a good special night out, and Forno Vecchio provides them all. They deal in traditional Italian fare of the fine variety, along with unusual specialty items like squid ink. And do not forget the dessert, because it’s fantastic. The Lava Cake is to die for! Italian is always a good choice for a romantic dinner, and Forno Vecchio does it right. Wine & steak, delicious gyros, tender curry dishes and tasty cocktails: yes, this is a great date night destination. The dim lighting and elegant décor gives this place a romantic vibe. Expect a mix of Mediterranean and Afghan food, all of it cooked to perfection and reasonably priced. And do NOT skip on dessert, because it’s fantastic here! The vibe here is sleek and active, making it a good stop for couples who prefer to feel “on the go” rather than laid back. Excellent soups, good cocktails, and reasonable prices. A worthy Valentine’s Day date night destination.